Upgraded Cacao Butter is designed to be the highest quality chocolate. Where your chocolate comes from and how it’s created determine everything about how it will make you feel. All chocolate is produced by fermentation, and 80% of South American chocolate sampled recently had mold contamination. 64% of the microbes that ferment chocolate create toxins called mycotoxins. These toxins, even at so-called ‘safe’ levels approved for commodity chocolate, contribute to feelings of weakness, sickness, and lethargy. What’s in Upgraded Cacao Butter? Just organic and raw cacao butter sourced from the best cacao beans, processed to minimize toxins, and carefully stored to prevent contamination from heavy metals and fungi. AWESOME FOR BULLETPROOF HOT COCOA OR MOCHAS! Great creamy texture. Great source of fat for these hot drinks. I even just eat it sometimes. Always nice to have quality fat around to nibble on. Quality product! The cacao butter adds a lot of flavor to the coffee, along with providing the fats. Two cups of coffee with cacao butter and collagen protein powder holds me all morning – I don’t get hungry nor crave any foods or treats. I love this cacao butter. It it smooth. Has a great chocolate taste and makes excellent hot coffee cocoa. I love just smelling it. Or taking a little nibble. Or adding it to a hot drink. And I used some in a homemade hand-healing potion and it’s yummy to smell and feel. Adding a little cacao butter to Bulletproof coffee makes it taste even better. A little extra healthy fat and cacao butter has some extra beneficial ingredients that your brain and body loves. However, the improved taste kick to the coffee is the best part. Try and little and I am sure you will like it too. I love this stuff!!!! 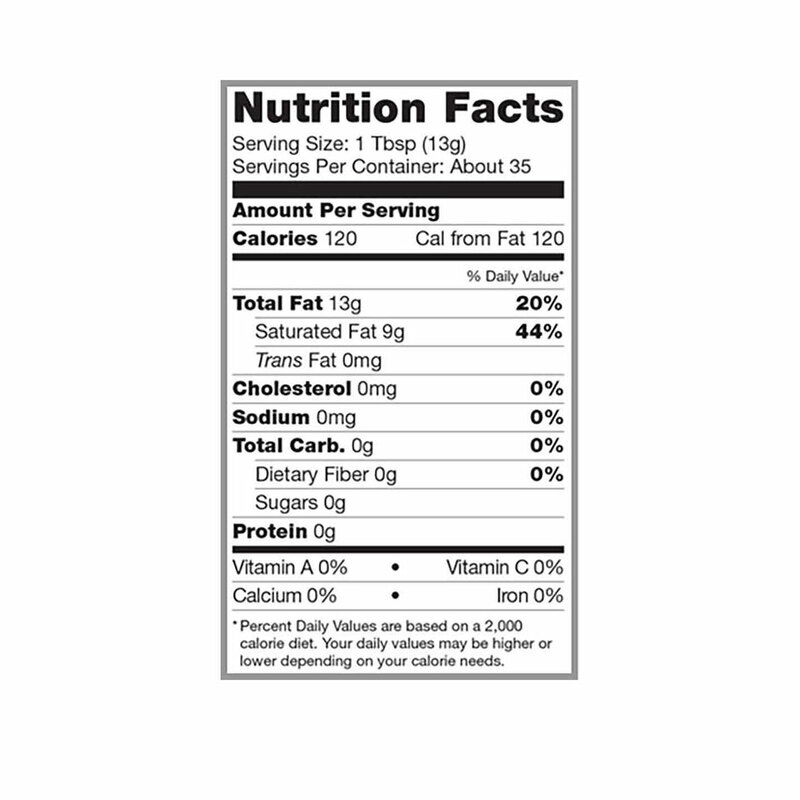 It’s so good I use it in everything coffee, tea, oatmeal, cupcakes, and almost everything else I eat. The taste is so rich. It makes any hot drinks creamy and smell. Oh the smell is amazing. What an awesome product & occasional addition to my morning Bulletproof Coffee. Just a hint of cacao to an already amazing beverage & I am all set for a busy morning at work. 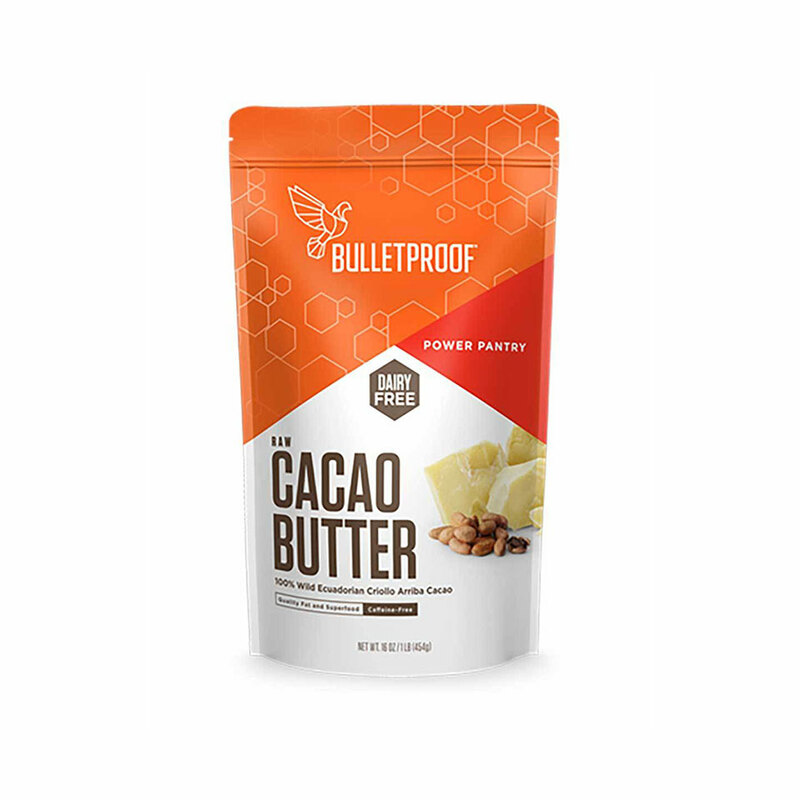 I also purchased the Bulletproof Cacao Powder so I can also kick back in the evening with a deeply rich cup of hot cacao. Truly delicious & nutritious! 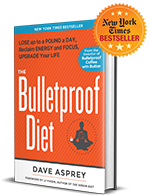 ADDS A WHOLE NEW DIMENSION TO BULLETPROOF COFFEE! Love the cacao butter! The chunks are so fragrant and “creamy” smelling each time you open the bag. After trying different amounts in my BP coffee I decided a medium size chunk allows for a hint of chocolate flavor and an extra touch of creaminess that is SO yummy. Very good stuff–great quality as I have come to expect from BP products. I make my own chocolate squares by melting it slowly and mixing chocolate powder, xylitol, brain octane and some peppermint essential oil. Then pouring into a silicone mold and refrigerating. They come out amazing! I have used other cacao butter, but I like the flavor of this one and it gives my coffee a little different flavor. I love the kick in my coffee!